There are so many reasons why you could lose a tooth, or all of them, but that does not mean the end of your smile. The consequences of losing teeth vary but on top of the emotional toil, teeth loss can also impair your ability to eat, speak, and ruin your bite. More importantly, prolonged loss of teeth can cause sagging cheeks because of the lack of structural support and make you look older than you really are. While so many options have emerged, dentures from Buckhead Dental Partners in Atlanta, Ga have been the go-to when it comes to replacing lost teeth for decades now. If you’re iffy about getting dentures, you don’t have to be; modern-day dentures no longer look like your grandparents’ old set of teeth. A complete denture is required when all of your teeth are missing. However, if you’ve only lost a couple of teeth, then all you need is a partial denture, also known as an overdenture. 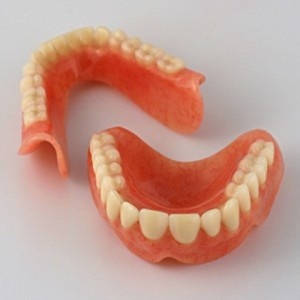 The great thing about using partial dentures is that they prevent your existing teeth from shifting out of their positions and into the space left by your lost teeth. Generally, dentures are made using acrylic resins. However, technology has now allowed the use of other denture materials including Valplast, which is rather flexible and more durable. With the help of modern-day advances, your dentures can look extremely realistic without compromising on comfort and feel. How should dentures be worn? Dentures have a natural suction to gums which allow them to stay in place although fixatives may also be used to keep dentures in place. However, there is a tendency for dentures applied this way to become loose and fall off. This can give the wearer a lot of anxiety especially when eating. To prevent that from happening, dentures can be secured with the help of dental implants or mini-implants. This will keep the dentures firmly in place and keep the wearer from unnecessarily worrying. First and foremost, you should keep your dentures clean all the time. Dr. Ballard at Buckhead Dental Partners in Atlanta, GA advises patients remove their dentures while they are sleeping in order to allow their gums to rest. At the same time, this will enable your gums to come in contact with saliva, which has known antimicrobial properties. Dentures can be soaked in water while not in use and it’s essential to brush your dentures before you place them right back into your mouth. Lastly, visit Dr. Ballard regularly for check-ups and inform him of any concerns such as fit problems and irritations.